The GeoPackage iOS SDK was developed as part of the GeoPackage Libraries by the National Geospatial-Intelligence Agency (NGA) in collaboration with BIT Systems. GeoPackage iOS is an Objective-C SDK implementation of the Open Geospatial Consortium GeoPackage spec. It is listed as an OGC GeoPackage Implementation by the National Geospatial-Intelligence Agency. 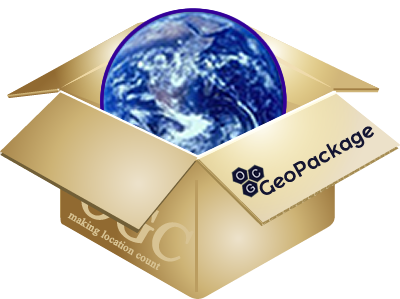 The GeoPackage SDK provides the ability to manage GeoPackage files providing read, write, import, export, share, and open support. Open GeoPackage files provide read and write access to features and tiles. Feature support includes Well-Known Binary and Google Map shape translations. Tile generation supports creation by URL or features. Tile providers supporting GeoPackage format, Google tile API, and feature tile generation.